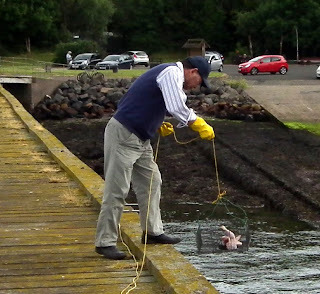 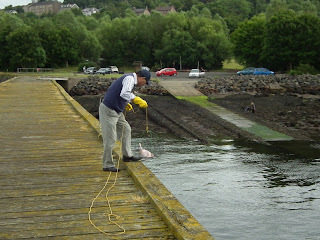 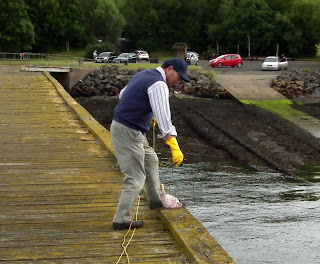 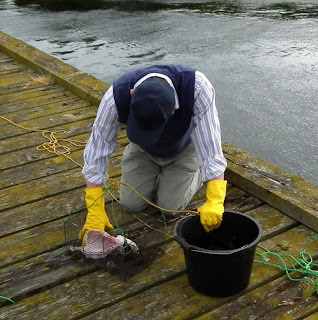 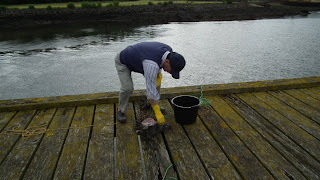 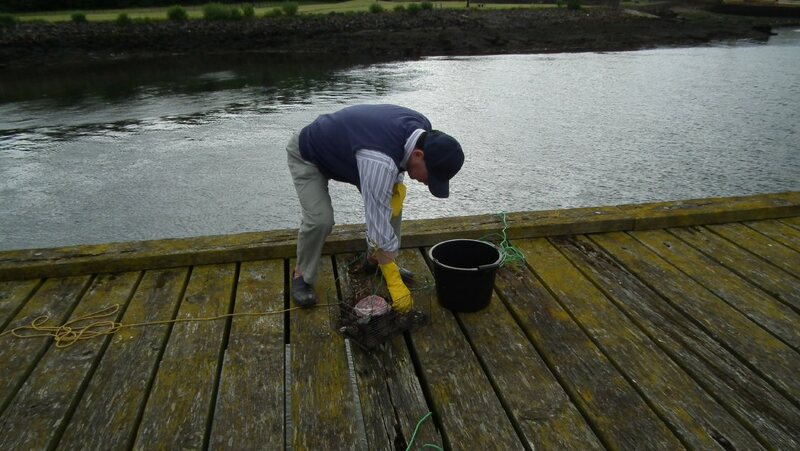 While on a visit to the old Lamonts pier in Port Glasgow I watched as this gentleman was endeavouring to catch crabs. 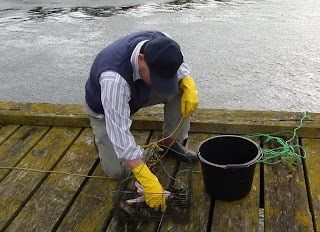 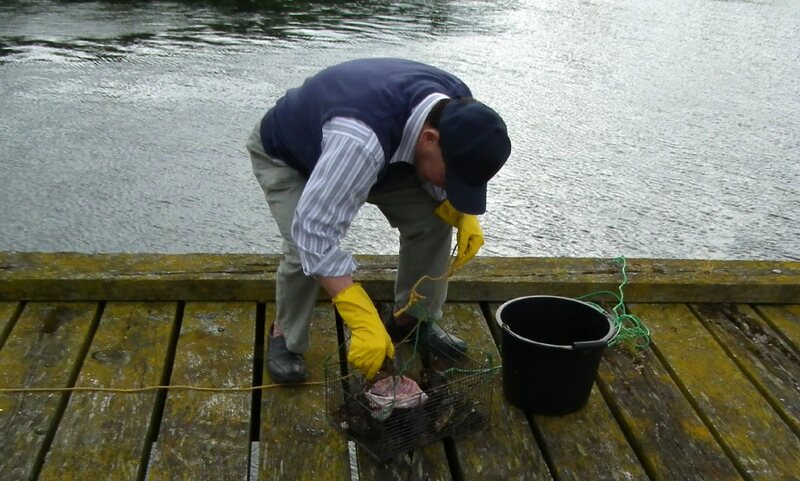 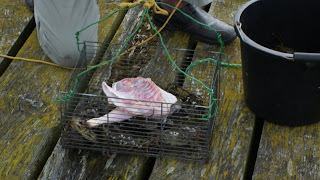 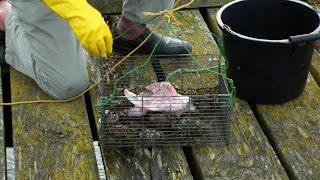 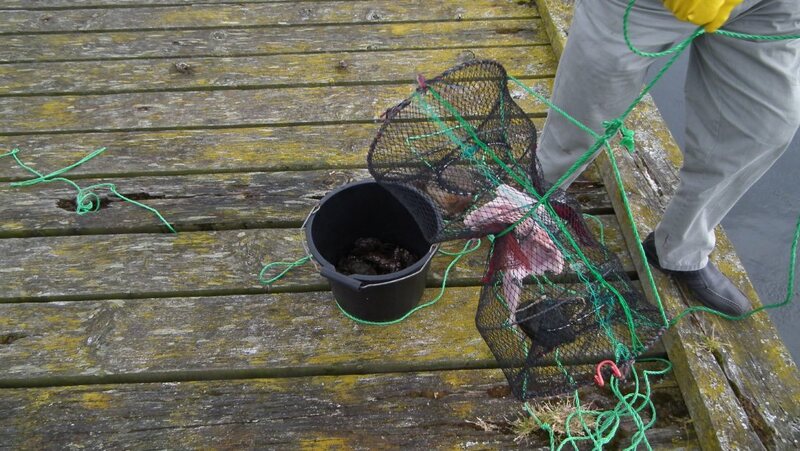 He had a couple of buckets in which he placed half a chicken in each as bait, he then lowered his buckets into the water, after about half an hour he raised the buckets which had about twenty to thirty crabs in each. I’m presuming they were being caught for a local restaurant, the man didn’t speak much English but he indicated to me that this was not a great catch and that the crabs are usually a lot bigger.